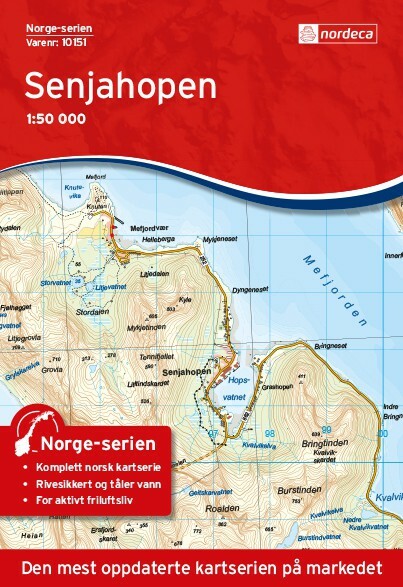 Outdoor Map of the northern part of Senja island (Norway). Scale 1:50 000. Published by Nordeca. Norge Series No. 10151. 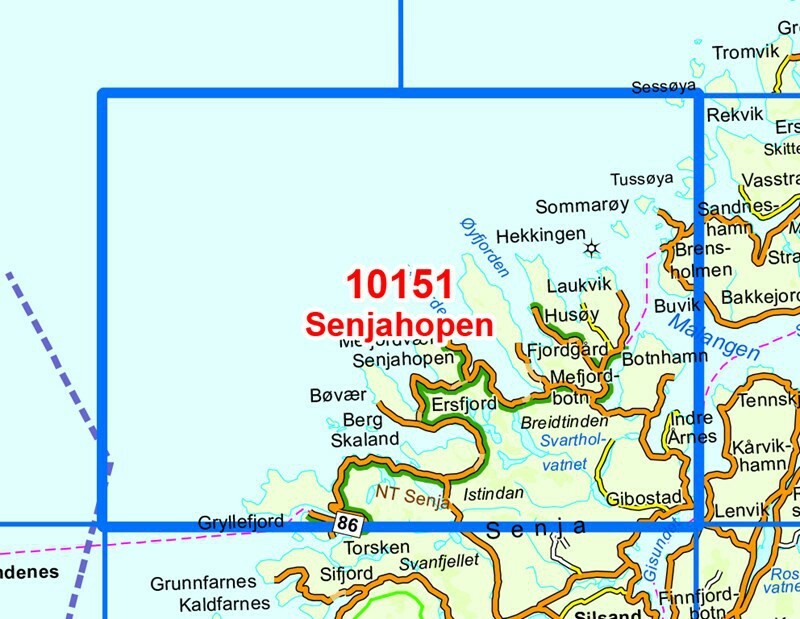 The Senjahopen map n° 10151 covers the north of the island of Senja in Norway. These place names located within the map: Breidtinden, Gibostad, Gryllefjord, Hekkingen, Husøy, Malangen, Mefjordvær, Skaland and Sommarøy. This map shows hiking trails and includes a legend in English. Compatible with the EUREF89 GPS system (WGS 84). Waterproof paper.